You’ve got loose skin, folds and excess fat that you can’t get rid of with exercise and dieting. But don’t fret, because you can still reshape your body the way you want it to look. Our Hourglass Tummy Tuck™ will give you a flatter, tighter stomach and a waist that curves inward — so you can wear form fitting outfits that show off your curves in all the right places. You’ll get such great tone that you’ll look like you’ve done 40,000 situps, overnight! Our unique style of tummy tuck targets doesn’t just eliminate loose skin and remove unwanted fat — it also targets every section of your abdominal muscles, tightening them together to create something like an internal corset that cinches in your mid-section. Your resulting horizontal scar is placed as low as possible, where it will be well hidden by your underwear. And without any visible incisions placed around your belly button, you’ll be able to wear a bikini and not worry about revealing any tell tale scars. The Hourglass Tummy Tuck™ doesn’t just remove unwanted fat and loose skin. It also repairs abdominal muscle separation along the middle of your stomach, from the top to bottom, and pulls in the oblique muscles as well. This brings together the left and right side of the rectus abdominus as well as the transverse abdominis for total muscle tightening and a cinched-in waist. Plus, there’s no puckering of the skin so you’ll have a smoother, firmer contour! No visible scarring around a belly button that looks totally natural. Little to no puckering of the skin and if there is puckering, it goes away faster than with other techniques. We make sure you're warm during and after surgery to improve comfort. Drains are used to speed up healing and give you smoother results with no puckering. Maximum tightening of the abdominal muscles and obliques to create an hourglass figure. It’s like you get an internal corset that’s super long lasting. Straight, even and symmetric incision lines that are neat and can be well hidden by your bikini bottoms. Advanced surgical techniques to reduce trauma and bleeding for less bruising and swelling for a faster recovery. 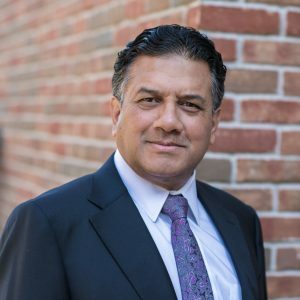 Board certified plastic surgeon, Dr. Atul Kesarwani, will meet with you to discuss your goals during your private medical consultation. He’ll talk to you at length about what you hope to achieve and will let you know if the Hourglass Tummy Tuck™ is right for you. When it comes to successful results, Dr. Kesarwani believes that it’s all in the measuring, marking and planning of your surgery. This is important because it sets your expectations and allows you to know what exactly will be done. Planning relies on markings that are done while you’re sitting and standing, in positions where you see yourself naturally. This allows your results to look great, whether you’re standing straight up, bending over or lying down. A unique formation of anesthesia is administered, so that discomfort is minimized not just during your surgery but also for about 6-8 hours afterward. Pumps on your legs are placed to prevent the risk of blood clots. The skin is lifted off the abdominal wall so the upper flap can come down. Loosening the tissues to a certain extent also allows for a lower incision line. Dr. Kesarwani makes sure to leave the skin on the sides attached to maintain blood flow, minimizing the risk of complications (i.e. necrosis). Electrocautery is used to reduce bleeding and subsequent bruising. Fat is removed (liposuction may be performed if necessary). Only a conservative amount of skin is removed to avoid a tight, unnatural result. When it comes to muscle tightening, however, Dr. Kesarwani is not conservative. He doesn’t just repair abdominal muscle separation vertically down the mid-line of your body — he also pulls in the oblique muscles. Doing this give you a more cinched-in waist for a smaller girth that resembles an hourglass. It’s kind of like an internal corset, but instead of tying it up in the back, it’s seamlessly in the front. This “internal corset” is stays firmly together by not just sutures, but also by the fatty tissues that stick to these muscles, holding them in place like glue. Dr. Kesarwani takes a fair amount of time to ensure the incision around the belly button isn’t all the way around it. He does this by bringing the lower abdomen skin up into the belly button so part of the scar is inside the belly button, and that the incision is below the surface of the skin. Because it’s your own skin going inside the belly button, there is no visible scar. This allows you to flaunt your midriff without worrying about showing a scar! The surgery ends by closing the incisions and administering local anesthetic in the treated area, decreasing discomfort for several hours after your surgery. To prevent unsightly lumpiness along the incision line and to strengthen the closure, the skin isn’t the only part that’s sutured. Sutures are placed in multiple layers of tissue, so that there will be less tension on the skin. This gives you a smoother, finer scar that’s less at risk of re-opening. Drains are placed in the incision to reduce fluid accumulation. Drainless tummy tuck rely on the placement of sutures within cavities that could fill with fluid. This can lead to unsightly puckering on the skin surface that either took too long to go away, or didn’t go away at all. Puckering and unevenness can lead to a poor aesthetic outcome. Using drains eliminates fluids, thereby reducing swelling and speeding up recovery. Using drains causes some suction, allowing the underside surface of the fat to stick on to the upper surface of the muscles. This not only supports muscle tightening, it also kickstarts the healing process and makes it faster than a drainless tummy tuck. Puckering goes away faster as well. Dr. Kesarwani places drains in the main incision, so that you won’t be left with drain marks (commonly found in the pubic area). There are no additional incisions to accommodate the drains. Once the surgery is over, you’ll stay in our recovery room for a few hours under the watchful eyes of our nurses and Dr. Kesarwani. After you’ve followed the aftercare instructions and worn your binder for a complete recovery, you’ll be amazed to see your new figure. You’ll have smoother skin, no bulging unwanted fat and will look like you did thousands of situps for a leaner, firmer mid-section!